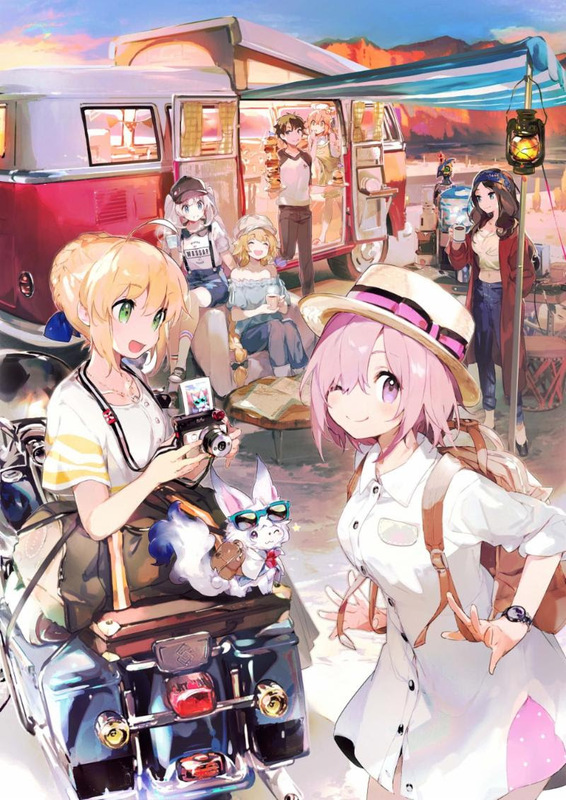 Aniplex USA has announced the Fate/Grand Order U.S.A. Tour 2019 for fans of the mobile game in the United States. The tour will kickoff at the California Market Center in Los Angeles, CA for a two-day event. This event will start on February 23 at 6:00 pm and will run till 9:00 pm. On February 24, the festivities start at 10:00 am and run until 6:00 pm PST. Photo Op Area – Take pictures on elaborate sets featuring scenes from the game. Challenge Quest Battle Zone – Compete in in-game quests alongside other Masters. Fate/Grand Order Memorial Message Wall – Write a message on the tour wall! Fate/Grand Order VR Experience – Join Mash Kyrielight or Altria Pendragon in a VR adventure! Cosplay Gathering Area – Cosplay gathering sessions with fellow fans! Fate/Grand Order U.S.A. Tour 2019 Official Merchandise Store – Your stop for official tour merchandise! This two-day event also promises some special guests for fans of the game. Kana Ueda (voice of Rin Tohsaka and Ishtar) and Satoshi Tsuruoka (voice of Arash, Gilles de Rais, Caligula, and Spartacus) will both be appearing at the Los Angeles kickoff event. FGO Project’s Creative Producer, Yosuke Shiokawa, will also be in attendance at the event. All three guests will be at special panels on the Main Stage at the event. In addition to all of this, fans at the event will be the first to be able to get their hands on exclusive tour merchandise as well as other Fate merchandise from other vendors at the event. You can purchase tickets when they go on-sale HERE. If you are interested in attending the tour at all, please check out its official website for more information. You can reach the official website HERE. Will you be attending any of the stops on the Fate/Grand Order U.S.A. Tour 2019?